In April, 2016, ZACH Theater management held three “informational” meetings for their stage employees to educate them on our union and the process of organizing. Unfortunately, very few facts were provided and the misinformation continues to get worse. Below is a running list of the management myths we’ve heard so far. We will attempt to periodically update this list to keep ZACH stage employees accurately informed! False Myths ZACH Theater Management would like you to believe! What would it be like if Zach Theater went union? Not true! If ZACH workers successfully organize, no one will have to join the union, but we believe so passionately in the benefits of union membership that for a limited time you will be offered union membership with full status, without taking a test and with our usual initiation fee waived. Your strength and our strength is in numbers. And the stronger we are, the more power we have to keep improving the lives of Austin stagehands. Not true! If ZACH employees choose to organize, they will have seniority over Local 205 members for jobs at ZACH regardless of whether they were for or against having union representation. 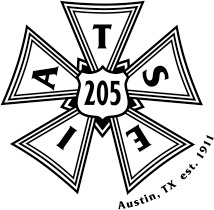 We exist to look after Austin stagehands, not put them out of work! Not true! Management and others are looking at how our Hiring Hall operates and assuming it’s procedures and rules would apply, but our Hiring Hall exists to provide stage labor for one off events and over hire labor for employers we have existing contracts with. The fact is, when you organize your employer, you get to tell the union how you would like ZACH to operate, and we do our best to negotiate that for you. A union contract at ZACH would need to cover the things that are important to you. As for being crewed by the union, if you want to pick up extra work outside of ZACH through our Hiring Hall, you may register with us and specify when you are available and what type of work you want to be considered for, but you are certainly not obligated to do so. Not true! Unions exist to represent employees. If there are no employees, then there is no union. Closing the scenic, paint, props and costume shops would be of no benefit to the employees, the theater or Local 205. This is nothing more than a scare tactic to discourage you from exploring the possibility of obtaining union representation. Furthermore, choice of what type of shows to produce or book is ENTIRELY a management decision and neither those roles, or such decisions, are part of the bargaining process by definition.